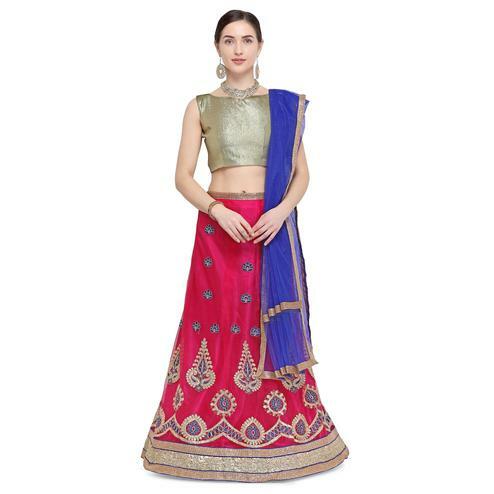 This pink - blue crop top lehenga choli is a perfect choice for one who are looking for fusion wear. 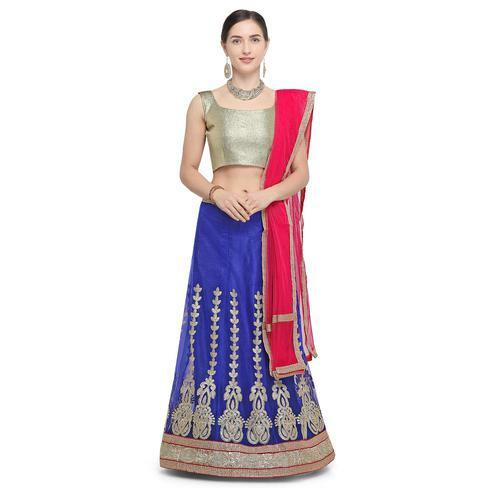 Featuring banglori silk pink plain top and blue lehenga finished with unique design digital print work. 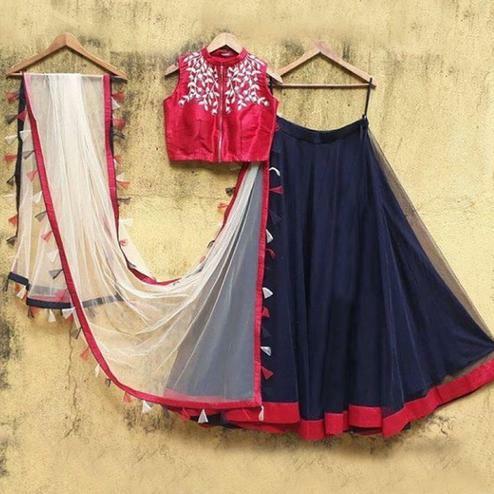 Perfect for family get together & weekend parties. Note :- The outfit do not come with dupatta.